Today I will be leaving work early to attend my friend Rich's memorial/visitation in the funeral home north of the Twin Cities. Chickie will be helped by Jim and Chickie Mama to keep things going while I'm out of the shop. So I'll go up north in the rain and hug my friend's widow and daughter and wish that the whole thing was just a bad dream. But it's not. We're supposed to be getting crazy weather today. Just a few weeks ago we were in spring with temps in the 60's and 70's. The flowers had popped on the trees, the tulips and daffodils were blooming and the grass was growing tall. What happened to spring, though? We've cooled down, and for the past week or so there has even been snow in parts of the state, some of it very heavy. I want spring to return. But, if it rains, I'm prepared. When I visited Milwaukee last year, I met up with a fellow writer, Zhie, and her husband a couple of times for dinner and drinks. They were really fun people and I fell in love with Zhie's Samuri-style umbrella. Since my own umbrella was broken, I needed a replacement. I just received my own Samuri-style umbrella in the mail yesterday. Now I'm set! Call me happy and bring on the rain! Join us for the 29th year of Art in Bloom, a four-day festival of fresh floral arrangements and fine art, presented by the Friends of the Institute at the Minneapolis Institute of Arts. This splendid spring celebration and fund-raiser highlights the talents of more than 150 floral artists, whose work will be on view next to the works of art that inspired them. The interpretations of the artwork in florals can range from just the colors to the actual sweeps of figures and sometimes the addition of sculptures, etc to have similarities to the artwork. 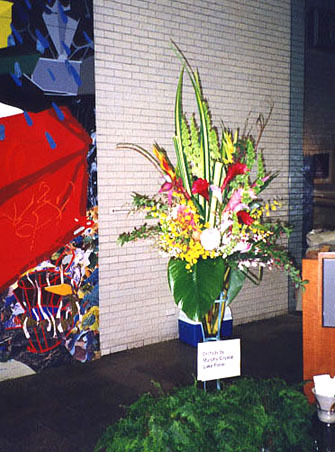 Then the flowers are placed next to the artwork that influenced their construction. It's really interesting to see the inspiration next to the created work. Some of them are fabulous. We'll consider going, but having a lazy day at home also has its charms so...hard to say what we'll end up with. 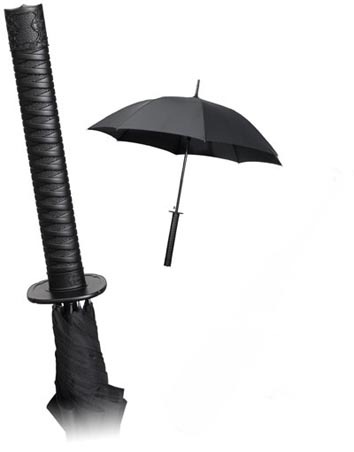 That Samuri-style umbrella is awesome. Funerals are hard things. I'm sorry. Thanks, Lady O. It was a difficult afternoon/evening, but we all made it through. That umbrella is very awesome, though. I love my umbrella, my DH is less fond of it, seeing it as a concealed weapon or something. But I love it and it is my umbrella...'nuf said - LOL. I'm sorry about your friend (and also glad to hear you've got a new umbrella he'd approve of). He would have loved it. I wore black, but added white shoes with spider socks just because he would have laughed. His memorial card listing his birth date and death date said that he 'kicked the bucket' instead of 'died'. His daughter insisted on it knowing that he would have approved. Just on the basis of these brief sentences, I like the guy.